Sounds fancy, but it could possibly be the easiest recipe I ever put on this website. Only one ingredient, and one step. Actually, with only ingredient it can hardly be called a ‘recipe’ can it? But here it is anyway. 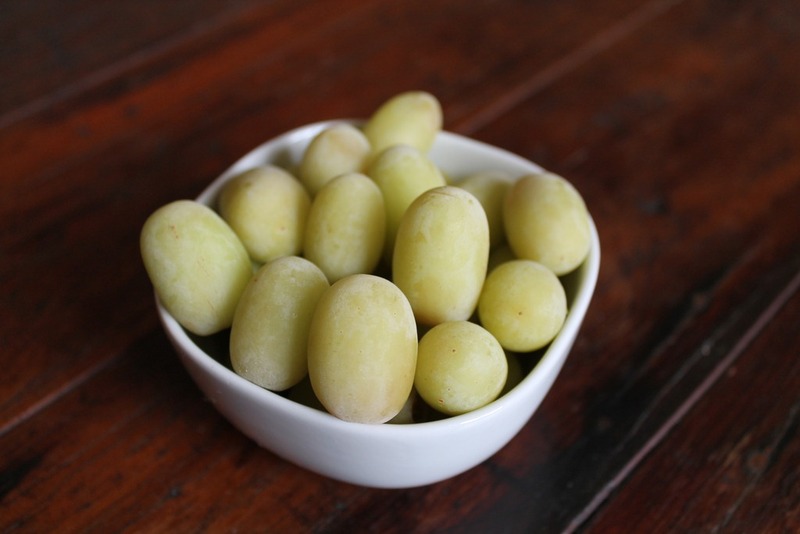 Take some seedless grapes, any quantity, and freeze them. When you take them out of the freezer, wait 10 minutes for them to soften a little and develop that lovely sorbet texture. Then they are ready to devour! Add them to dessert, put a few in a glass of wine to keep it cold on a hot day or just munch them as a snack.